Everyone has to buy a bed, and yet how is anyone supposed to know which of the mattress sizes they should get? What are all the different dimensions and sizes, and what do the different names mean? Buying a mattress is a daunting task for many, and we want to ease some of that stress for our customers. There are a handful of common mattress sizes that just about any mattress store will carry and modern bed frame manufacturers abide by the same rules and dimensions. 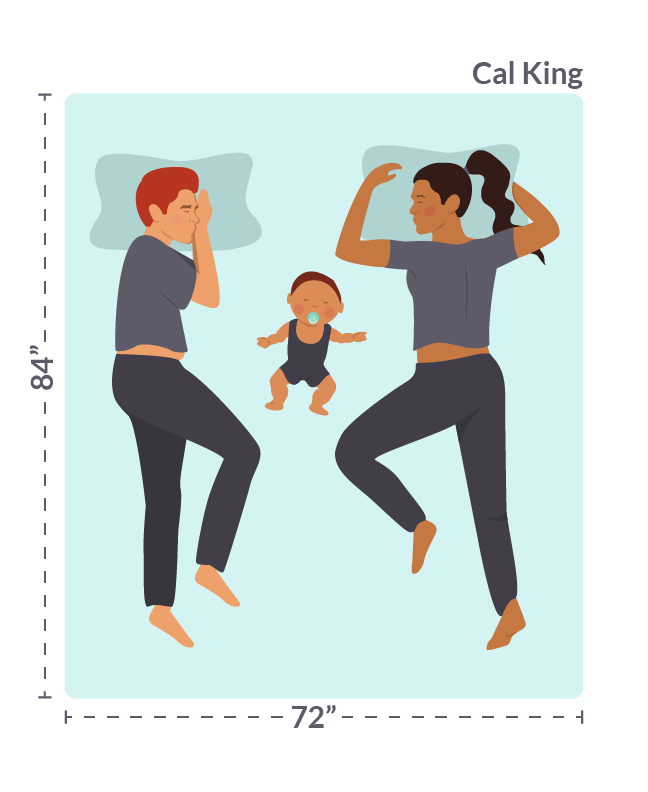 The most common mattress sizes are Crib, Twin, Twin Extra Long (Twin XL), Full, Queen, King, and Cal King. Every other mattress size is less commonly manufactured and, in many cases, will need to be custom ordered depending on the type of bed frame you own. Everyone has their own preference and requirements, but we have a few questions we always ask when we are narrowing down which of the mattress sizes is best for our customers. For instance, is this mattress just for you, or are you sleeping with a partner? Will you be sharing the bed with children or any pets? Do you know the dimensions of the bedroom the mattress will be staying in? 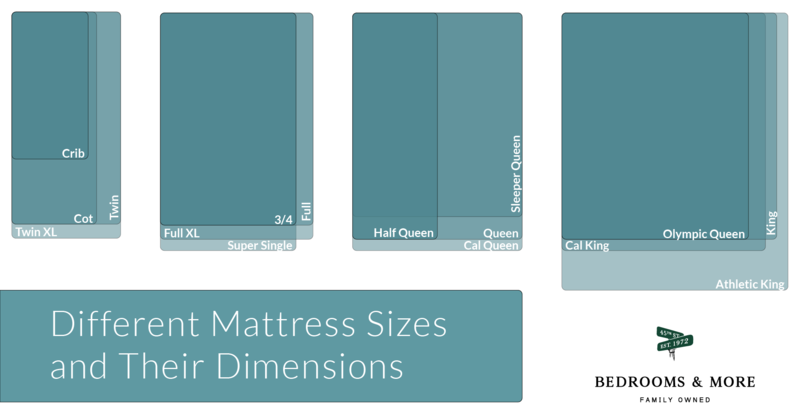 The larger you go in mattresses, the more the dimensions of the bedroom matter, so below we have made a chart to break down each mattress size. 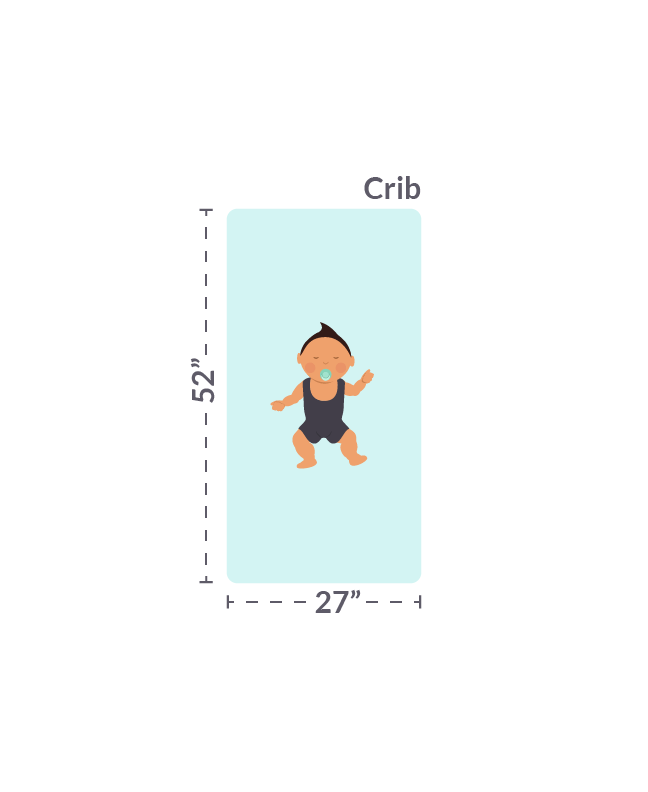 The dimensions of a crib size mattress are 27″ by 52″ which is standard for all cribs dictated by safety needs for babies. 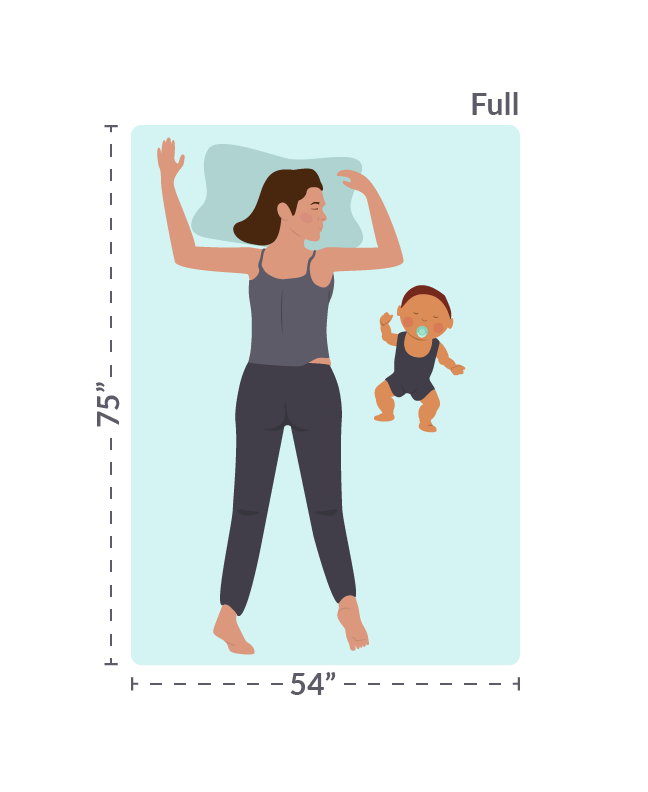 A crib size mattress is used by babies and toddlers alike until they are too tall to fit within the bars of a crib. Though it is somewhat uncommon, the cot mattress is a good size for a temporary sleep solution. The cot mattress measures at 30″ by 75″ which is comfortable enough for short term, but we recommend anyone with long term plans to buy one of the more accommodating mattress sizes. A twin-sized mattress is great for kids who have graduated from the crib. 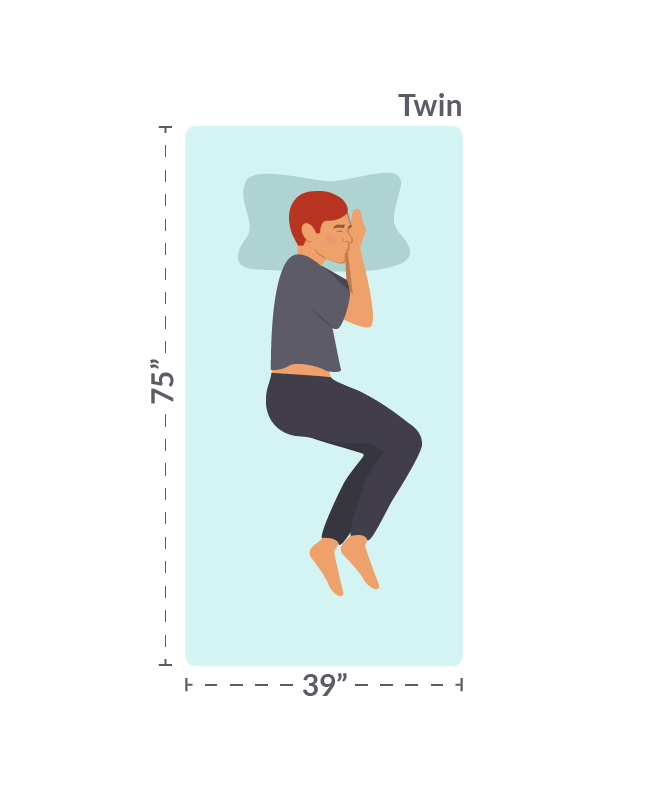 Though some manufacturers will trim half an inch or so from either side, the dimensions of a typical twin mattress are 39″ by 75″ which suits most children through their teenage years. 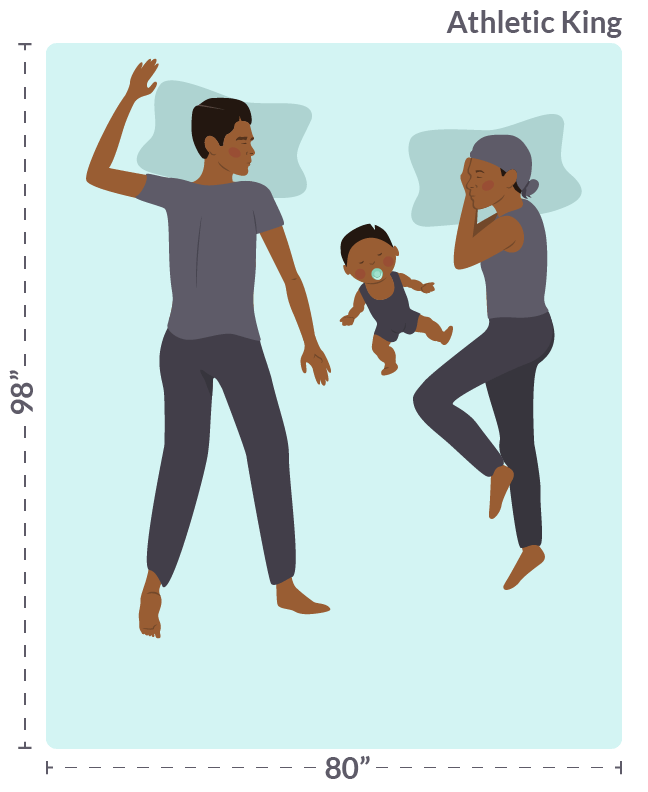 A twin extra long mattress is great for kids with tall parents; the extra length allows for growth spurts which could save you money in the long run. 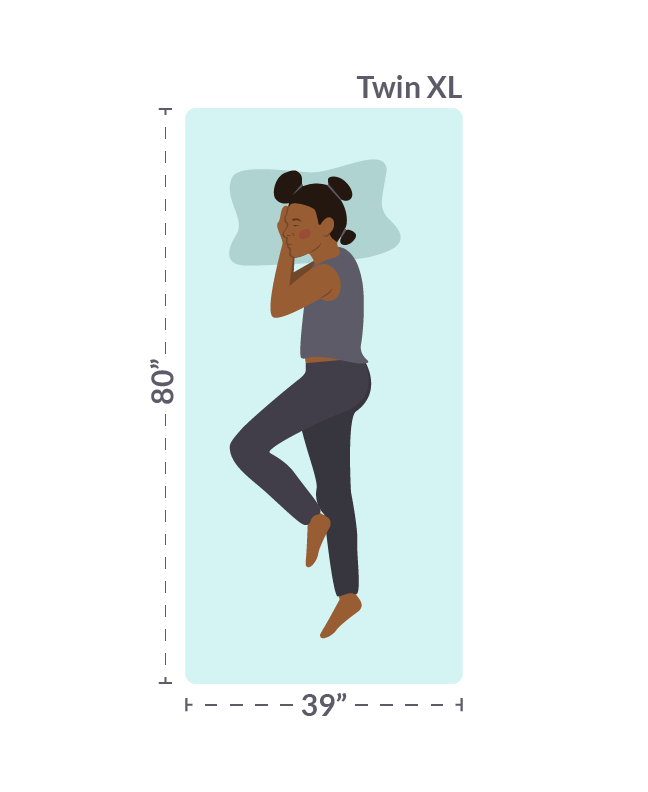 Measuring at 39″ by 80″ the twin extra long is the standard mattress for college dorm rooms and paired with another they offer the perfect fit for a split king adjustable bed. The dimensions of a half queen are 30″ by 80″ and is generally used on split queen adjustable beds. 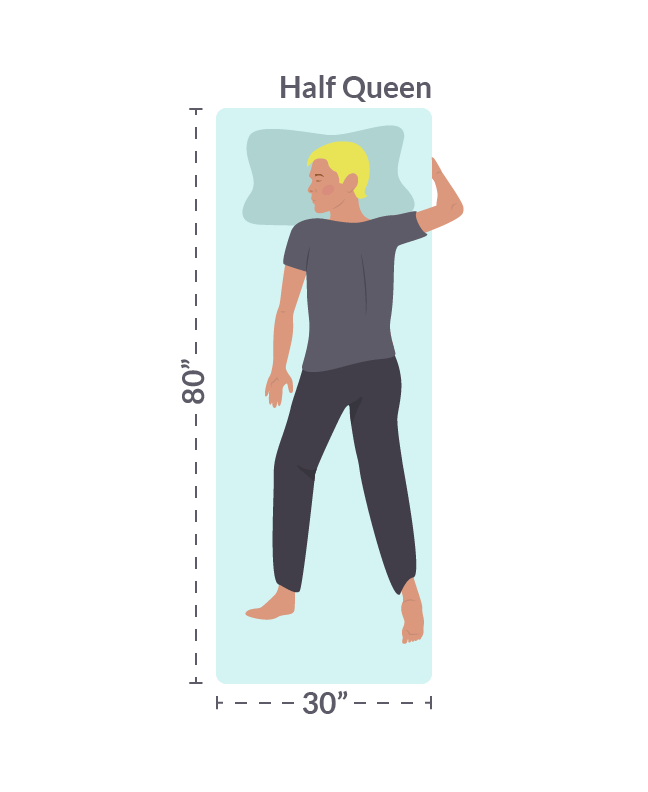 The half queen-size is not a desirable mattress size for adults on its own. 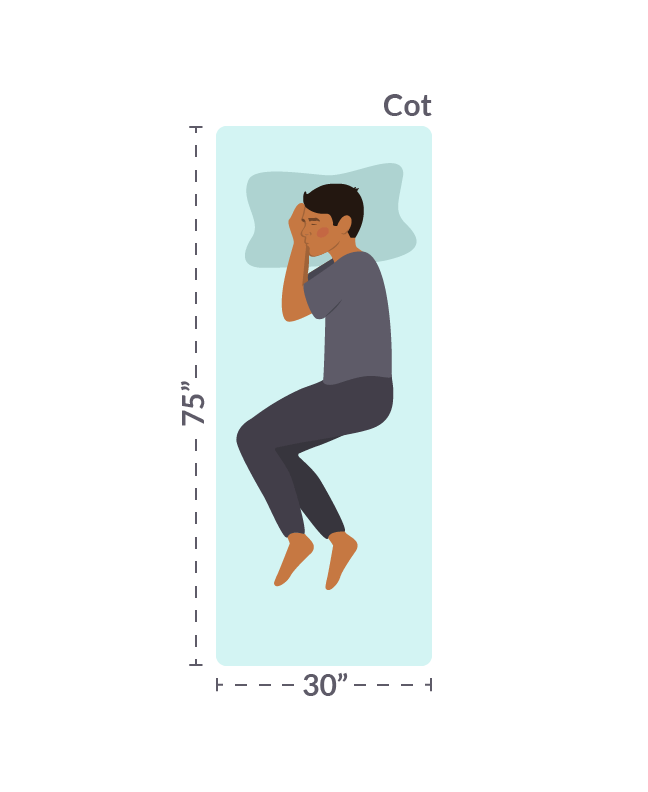 As a result, like a cot, you should only use this size if you have no other choice. A three quarter (3/4) mattress used to be common long ago so antique beds still use this size, or some approximation. 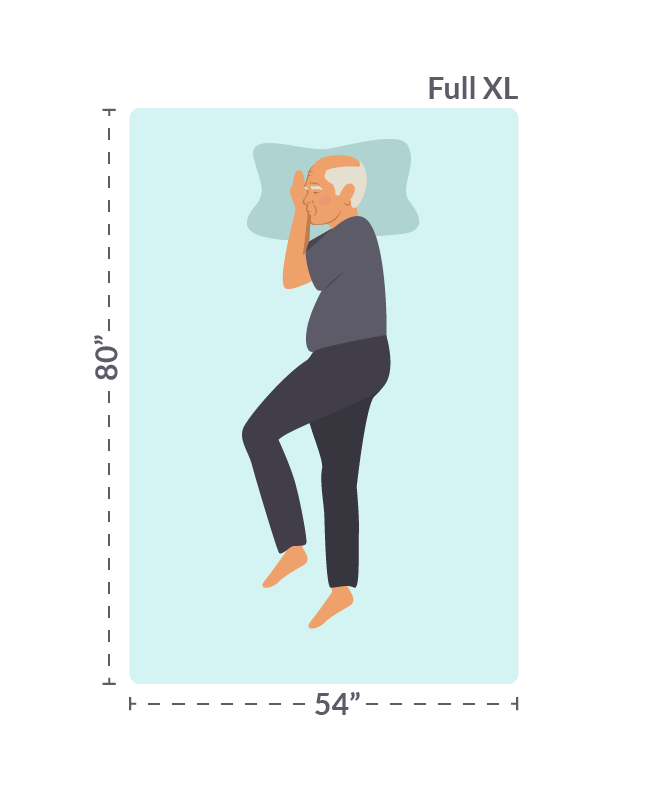 Verify the dimensions of what your frame can fit including the three quarter size of 48″ by 75″, because this will likely be a custom mattress. 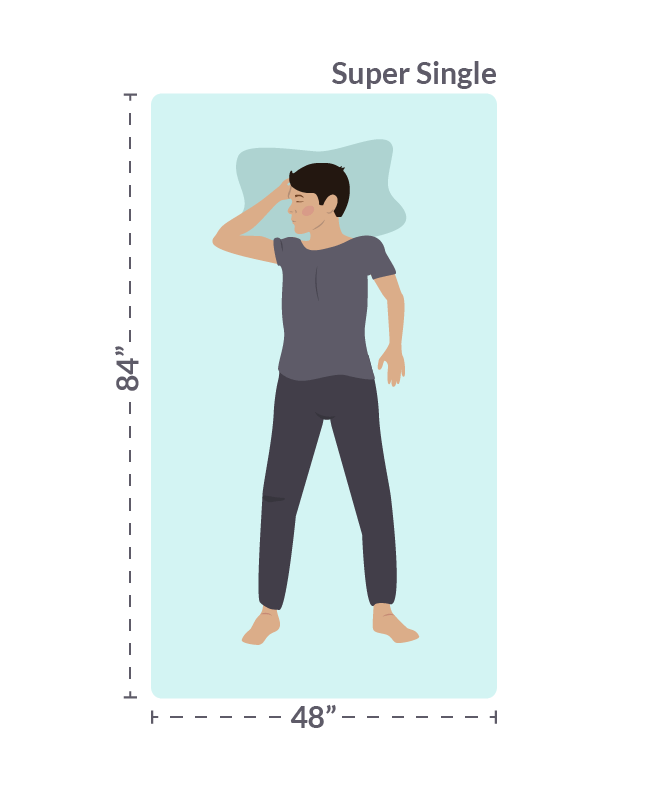 The dimensions of a super single mattress are 48″ by 84″ and were originally a waterbed size, though special order mattresses can be made this size to fit those old frames. Once the full size, at a comfortable 54″ by 75″ dimension, was the size that couples preferred, but full has been supplanted by queen as the most popular mattress size. A full-size mattress is perfect for a guest room, and being a step up from twin, the full-size mattress is suitable to young professionals furnishing small apartments. Primarily used on adjustable bases, full extra long is preferred to full for this application, because the bending action in an adjustable base shortens the mattress. The full extra long is 54″ by 80″ in dimension which is five inches longer than a full and allows for the lost height during adjustments of the feet and head. The sleeper queen size is 60″ by 72″ (variable) which is specific to mattresses in sleeper sofas. Most sleeper mechanisms use short queens so that they will fit down inside the sofa. Replacement sleeper queen mattresses are available from many manufacturers. As the most popular size in the United States the queen-size mattress dimensions are 60″ by 80″ which is great for sharing or sleeping solo. These adaptable beds fit in tight bedrooms and no matter where you choose to go there is always bedding options to choose from because if its popularity. 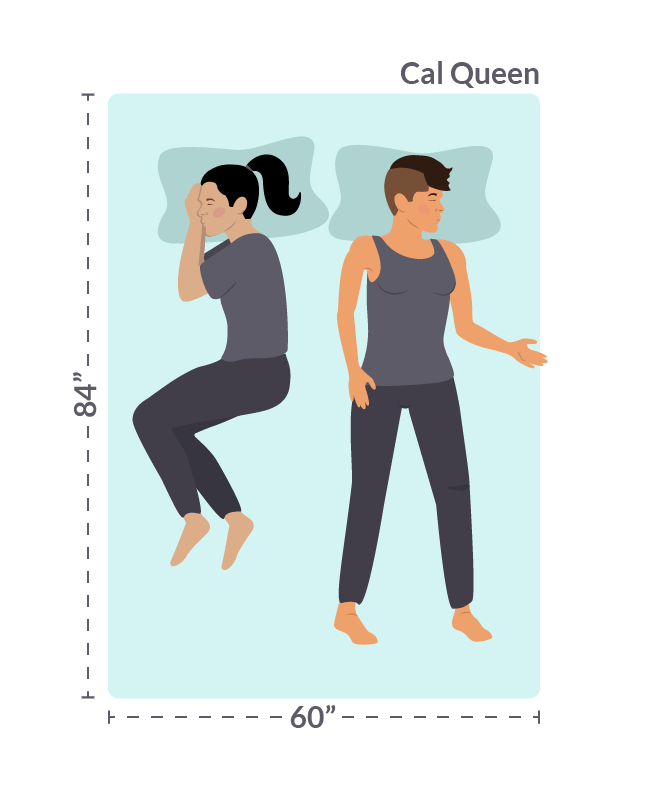 Originally a waterbed size, the dimensions of a California queen are 60″ by 84″. Cal queen mattresses can be special ordered from manufacturers to fit those old frames that we all hold so near and dear. Done at one point by Simmons in the 1990’s the olympic queen has fallen out of fashion. 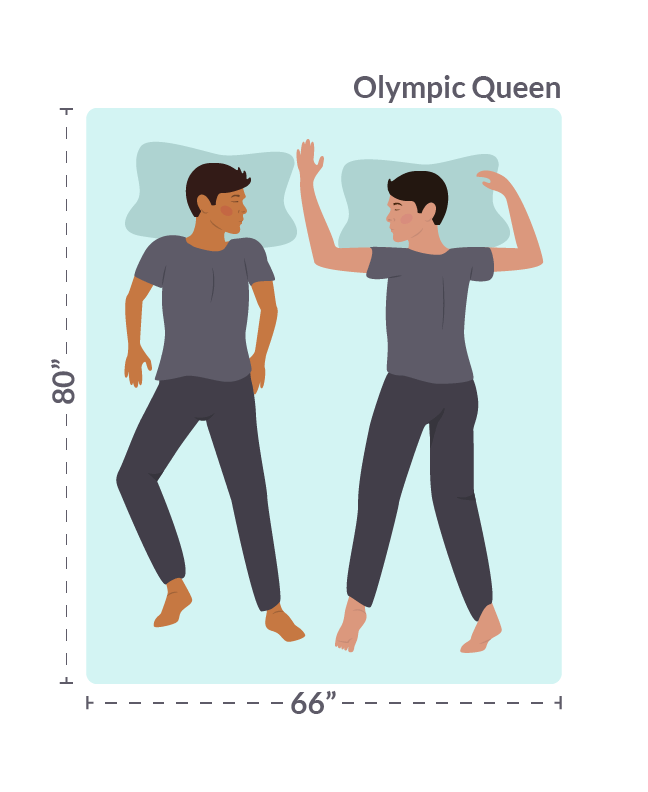 The dimensions are 66″ by 80″ for the olympic queen and these mattresses can still be made by many manufacturers as a custom size. 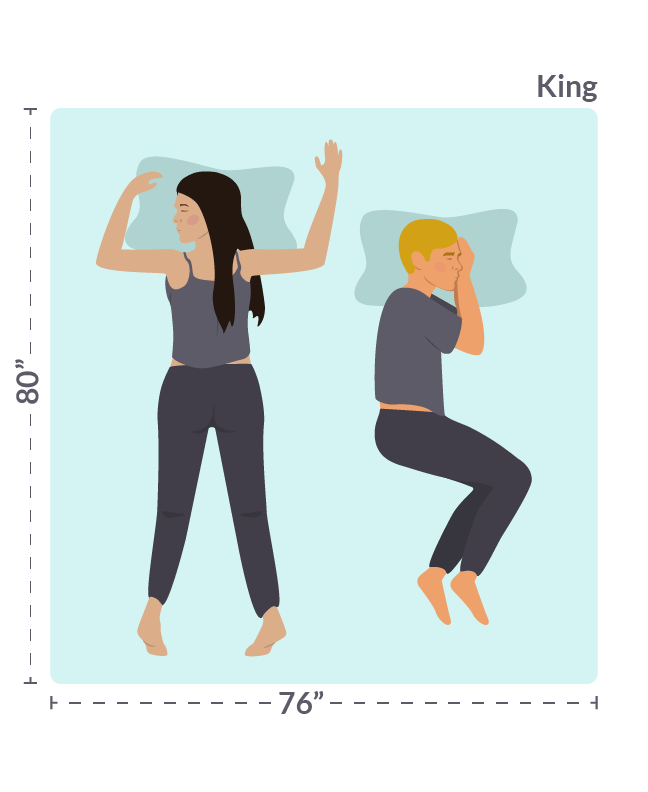 If your bedroom has the available space, the king is the most common larger mattress size. At the dimensions of 76″ by 80″ the king-size mattress provides luxurious space and additional room for small children or pets. The popularity of the king mattress also makes it easy to find bedding and accessories! The California king was originally a waterbed size. However, through the years it has been adopted as one of the conventional mattress sizes. The dimensions of the Cal king mattress are 72″ by 84″ so if you’re over 6’6” your feet will no longer hang off the end of your mattress. The extra length is really nice for everyone, and cal king is common enough that finding bedding is a breeze. 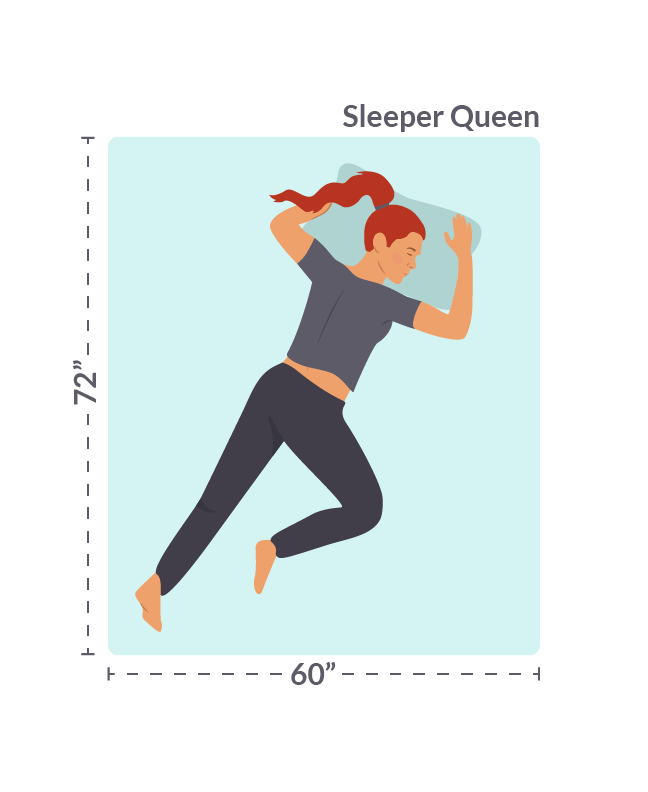 The athletic king is not common, and it is difficult to find standard bedding for it, but if you’re tall enough that you need a mattress just over 8 feet long, it’s a must. At 80″ by 98″ everything will be a special order and it may be difficult to get the parts for this bed through standard doorways, but the wait and the work will be worth it. What did you think of our Mattress Size Chart? Did you find it helpful? Have you heard of other mattress sizes that we didn’t mention? Please let us know below! This entry was posted in Mattress, Mattress 101, Mattress History. Bookmark the permalink.